Here, in St. Clare’s Primary School, we place a strong emphasis on the teaching and learning of science and maths. We endeavour to give our pupils hands-on experience with practical activities which develop the children’s scientific skills as well as literacy and numeracy skills. The focus is on inquiry-based learning where the children participate in simple science experiments and activities relevant to their everyday lives and environments. We received our first Discovery Primary Science Award of Science Excellence in 2006 and since then St. Clare’s Primary School has received several more awards of Science Excellence. 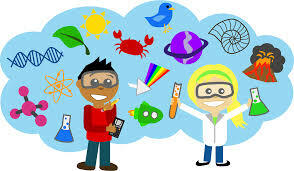 This year we are working towards a Science Foundation Ireland Discover Science and Maths Award, which focuses on all areas of STEM education-Science, Technology, Engineering and Maths. Attending science talks and presentations from visitors to our school who work in the worlds of science, technology and engineering. The young scientists of St. Clare’s Primary School will be very busy during Science Week 2018! All classes, from Junior Infants to Sixth Class will be participating in an environmental science roadshow called “The Secret Life of Ireland’s Bees.” This interactive presentation is delivered with lots of music, fun and drama and helps children explore and understand the environment around them, especially the important role that bees play in biodiversity and food production. On Thursday, 15th of November, the children from Fifth and Sixth Class will be taking part in a visiting science show in the Johnston Library called “The Science behind Space Exploration.” Who knows, this fascinating presentation may even inspire some future astronauts! The children of St. Clare’s will also be participating in another interesting event in the library, during Science Week. The girls and boys in Room 12 will be learning about “Safety around Animals” through working with the storyteller Alma Jordan. Congratulations to the girls from Ms Mc Guirk’s 5th class and Mr Walsh’s 6th class who were awarded a Science Foundation Ireland, Discover Science and Maths Certificate of STEM! That’s Science, Technology, Engineering and Maths and all year these girls and their teachers have been hard at work carrying out experiments, collecting data, interpreting results and participating in engineering challenges. It’s good to know the future of science and engineering is in safe hands! Well done girls-we are all very proud of you.